It's Wednesday, and I have another tutorial for you to make with the Wee Wander fabric. Thanks to Pretty Bobbins writing from New Caldonia, we have a lovely project that's simple and easy to make, a lovely visual punch in a child's space, but super functional as well. CLICK HERE to get the full tutorial. Today's Project stop takes us to Down Under with this adorable Bright Star Pillow centered around a galloping horse from "Summer Ride". Pillows are an easy and fun project to use up those little pieces left over from bigger projects, and it makes for lovely pops of color made in a short amount of time. CLICK HERE for the project information. Thanks Kritsy for the Pattern! 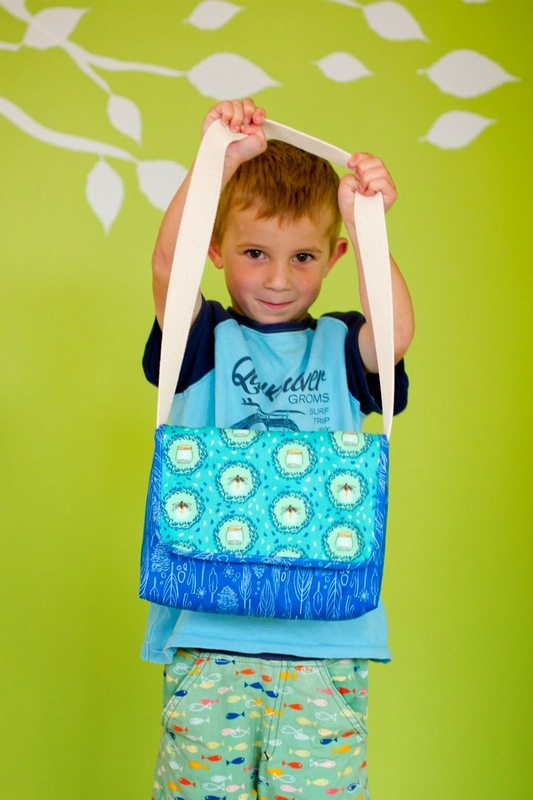 Today's free pattern for the Wee Wander Collection comes from Toni at Make it Perfect. 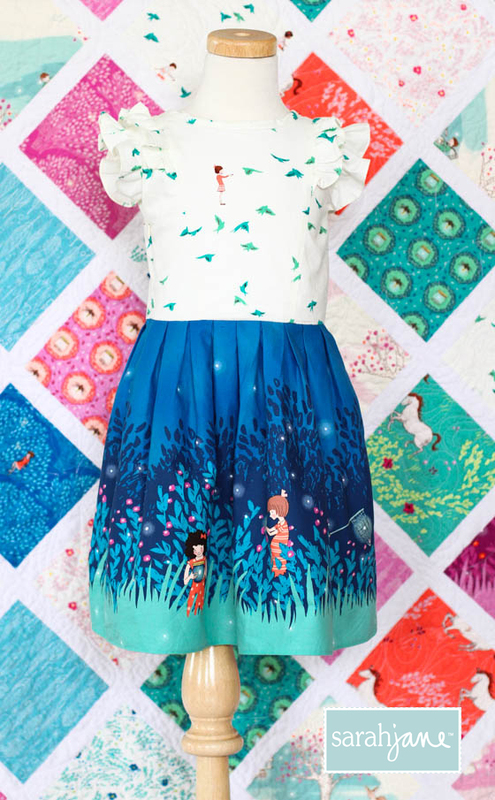 She's in Australia, and has the most gorgeous blog and sewing patterns that she sells. 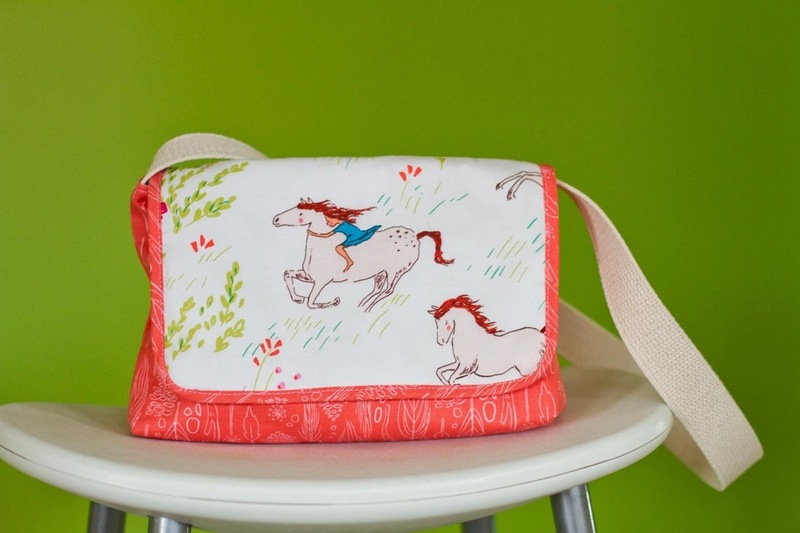 This Messenger Bag Pattern is so great!! Perfect for play and for school. I need to make one myself....my kids are always toting things around. Thanks so much Toni for the pattern! I hope you have fun with it! Wee Wander has been so fun to see popping up in all your projects. Hope you love this pattern as much as I do! I'm more than a little excited to release my first dress pattern of the season! This dress was a collaboration with an apparel designer, Nemiha Studebaker. I designed the dress and she drafted out the pattern for us all to use, and It's available as a FREE PDF PATTERN below. 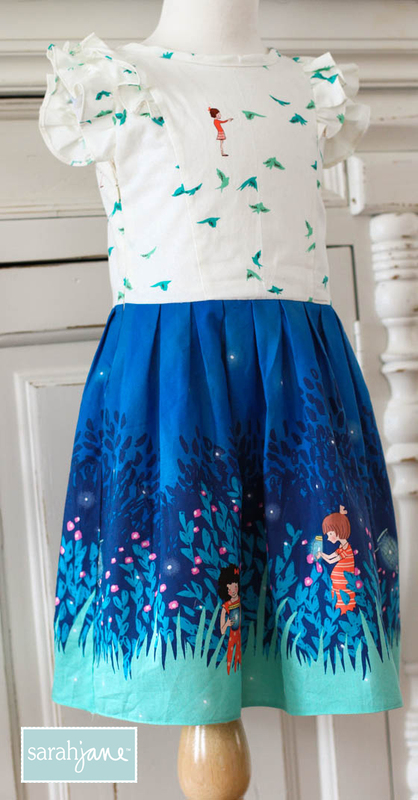 This dress was inspired by my love for fresh pressed blouses on little girls, but the freedom of something mostly sleeveless and easy to wear. Double ruffles on the bodice, box pleats on the skirt, a side zipper and a button on the back make this dress ultra feminine but clean lines. 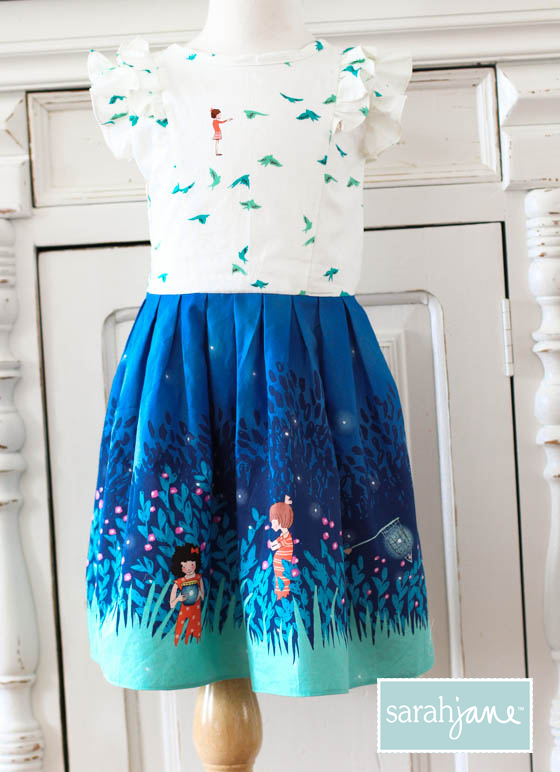 This pattern runs size 2T to 6, and was originally created to be a size 4, which is the size that is featured. It's that time of year, where I get to figure out what I'm going to design for my kids for valentines. And this year, with THREE kids who have parties...and multiple parties....I'm keeping it simple but still super special. Valentines Day is during the Winter Olympics...not something that has ever happened since my kids have had a school valentines party....and it will be the only one in their elementary school career! So, I decided to create something just for the occasion. A super easy project....4 cards per print out, a chocolate gold coin that you can tape onto the back of the flat card, or attach to some ribbon for a fashionable goal medal! A sure WIN this year. Feel free to download, and share the olympic love! GIVEAWAY: Smart Creative Style course! What would you give to work with a team of creative minds to help you find your own personal creative style? So many of us have a creative vision, but do you feel your branding and style is strong and uniquely yours? Today I'm offering a scholarship to a fantastic course called SMART CREATIVE STYLE aimed at helping creatives find their creative voice. 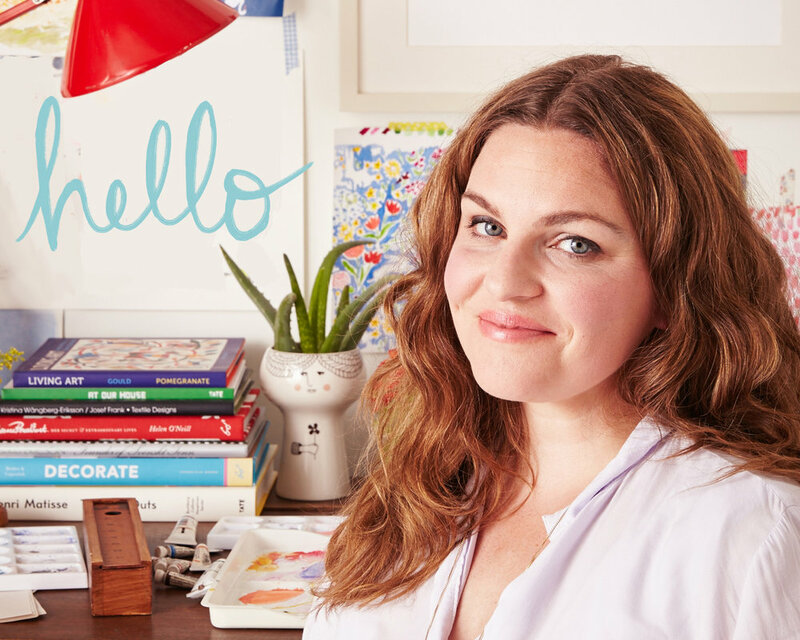 Many of you know Monica Lee, of Smart Creative Women. If you don't, you'll love her after visiting her site where she interviews creative women who have SO much to offer. She's got an entire archive of people in textile, paper, fashion and home design that she interviews and gets right to the bottom of what they do, and how they do it. Pretty brilliant if you ask me. And the site offers tips and advice from some pretty amazing artists and designers. I've known Monica for 2 years, and she continues to impress. She's a wealth of knowledge,and she's an amazing coach! Your “creative style” is who you are visually and aesthetically. It also in your products and messaging. There is no doubt that we are in a world that is becoming more and more visual, and it’s more important than ever to have your style nailed down. You don’t want to look like anyone else and why should you? Trust me, it is all too easy to get caught up in the visual clutter and to lose your way, falling out of sync with who you truly are. We veer off course. This is your time to define or redefine your style, business and branding. The world is dying for you to be authentic. But up until now, no one is encouraging you to take the time and figure out HOW to tap into your authenticity or your creative style. They just say you NEED it but don’t offer the HOW. where you will you nail your look, your branding and your messaging down. Each week offers visual and sensory exercises because as a creative person, you LEARN and DISCOVER differently. 3) Come back Friday morning, Feb. 7th to see the lucky winner! Thanks Monica for this great offer. I can't wait to find out who will get this free ticket! A couple years back, I created a list of chapter books that were suitable for very small children to have read to them. We are big readers in our house! If you were to come over right now, you'd see bookshelves everywhere. And we could use more....there are books on the couch, the coffee table, the kids' beds, and even on the kitchen counter. My husband started reading chapter books to the kids when they were as young as age 3. But we found it difficult to find advanced books that were suitable for children who weren't even in kindergarten yet! So, we visited with our librarian, asked other parents, and put together a list. It's a 5 page document full of awesome titles. It's been so helpful to have on hand! Or, you can just view the list below! Thanks for all your input, and happy reading!! I've been thinking about what my Word of the Year will be. It's taken me a while, because last year was a challenging one for me, and I've felt such a fresh start to this one, and there are so many thing I'm wrapping my head around. Life with 4 (very intensely alive and soulful) children and all that brings, striving to build my little business and see it bless my family more as well as more of the world, keeping creatively sharp and passionate despite the fullness of life, staying a good friend and staying aware of and serving the people around me, and learning to over come personal challenges all with the beauty of no sleep. My husband found some old home videos on Christmas, and one night we pulled out the tape (yes a tape) of me and Kenneth backpacking through Europe in 2004. We'd been infertile for 3 years, and I was at my end of all the emotions that go along with that. I was tired and scared of turning into a worrisome twenty-something. I had stopped really "living." We had saved money for an infertility surgery that we weren't sure if insurance would cover. And we wouldn't find out until after the surgery. That took all my faith. And that's another story. But in the end, insurance paid for it! So, what did we do? Did we put it in savings? Did we put it aside? We grabbed plane tickets and back packed through Europe for 5 weeks. We had a plan, but we left so much to chance. We had to release and relive, and that's just what we did. We stayed with an old Italian man we met at the train station on the Italian Coast who couldn't speak english, but had a great view; We wandered through the sheep filled countryside in Wales and got lost until we found a bed and breakfast we could afford. We landed in a small town outside of Venice at midnight in the rain, and knocked on doors until we found an open room (that one was a little scary). We took a 3 hour train that we didn't have tickets for (we got on the wrong train) and played cards in the dining car to avoid the ticket master (thanks Danny Kaye and Bing Crosby for that one). All in all, I was fearless. I'd been so beaten down and disheartened from not being able to get pregnant, and I felt like I could handle anything. Then the kids came. And we were witnessing miracles. But something happened to my mother-heart. I loved so much, that I started to worry just as much. I started watching every step. I would put on the alerts that only a mother can have. I would sleep with one eye and one ear open. I was always on the watch it seemed. And slowly, but surely, I've become just that. I've forgotten how to let go, and be BRAVE. I'm not talking about the kind of BRAVE that you put on to mother children. That's the BRAVEST of all the BRAVES! I'm talking about the kind of BRAVE that it takes to break free from habits, try new ways, leave your comfort zone, and trust. The kind BRAVE that makes you fearless. Willing to let go and soar. I've grown up since those careless summer days in France, but I've also forgotten how to let go. And that's hard to do when you are responsible for little people. But it's my new goal. It's my new road. Sara Bareilles' song BRAVE has been on repeat, and I've been pumped up ready for this new year. 2014 is my year. I feel it. You are welcome to download this and use it for your personal use. It's my motto this year.